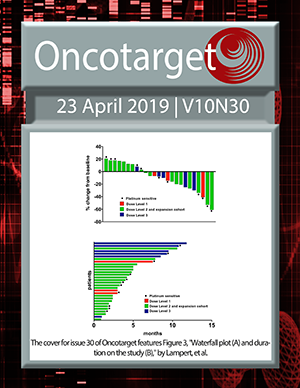 The cover of the October issue of Oncotarget features the first figure from Couty et al. showing chimera and native PKA-S6K1. Efficient induction of differentiation and growth inhibition in IDH1 mutant glioma cells by the DNMT Inhibitor Decitabine.